Hello lovelies, I am always changing things around in my make up bag but this is what I have loved recently wearing now its spring time. As the weather is getting nicer I want my skin to have a bit of a glow to it and I find with the Rimmel - Wake Me Up Foundation, it does this. It illuminates my face with the tiny shimmer particles in it and makes me instantly look refreshed and awake, I have only used this a couple of times thanks to my lovely friend Jess for giving it me as the shade was too dark for her skin she kindly gave it to me. The shade fits my skin perfectly in True Ivory, it gives me a gorgeous flawless complexion and has vitamin moisturising factors to it. I have totally forgot to picture my concealer, how bad of me but I have been using MAC - Studio finish in SW15, I have just wrote about this here, the best concealer I have ever tried as of yet anyway. 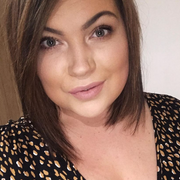 Then I like to do my eyebrows after that and I have been loving the W7 - Brow bar, it has three brow shades and a highlighter, I have been using the dark brown as I like my brows to be quite dark for definition and this has lasted me all day and only cost me about £3, bargain. I then apply my bronzer and I love the Bourjois - Bronzing Powder, I have it in shade 52 and as I have super pale skin I don't think this looks ridiculous on me at all! It gives a gorgeous glow to my skin and is perfect for contouring as well as bronzing all over. It smells delicious too of chocolate to go with the packaging. I apply this with my Eco Tools - Bronzing brush, it is amazing a big chunky brush that applies the bronzer beautifully. After I have contoured/ bronzed my face I go in with my blusher, in the warmer months I LOVE a cream blush but that's a bit of a white lie as I have converted over to cream blushers for some reason, I don't even touch my powder blushes any more I just love cream blushers. But for the warmer months creams are fab as they are so easy to apply, they last ages, pigmented and great for on the go. I have been loving the Revlon - Cream blush in Coral Reef, a gorgeous coral pink toned blusher that looks beautiful on the apples of your cheeks for a flush of colour, you can be as subtle as you like or go all out. I apply my cream blushers by carefully dabbing it on my cheeks with the Real Techniques - Buffing Brush, this brush is just the perfect size to dab on the product and blend out softly. For my eyes I have been loving neutral pinky toned shades with a white pencil in the inner corners to really open up my eyes and look radiant. As a base or on it's own I adore the Maybelline Colour Tattoos, this is in shade Pink Gold, they glide so nice over the eyes and last for hours, perfect to prime your eyes before a powder or just gives you a lovely subtle wash of colour throughout the day. I have been applying this all over my lids then finishing off with a No7 eye shadow in my creases in shade Antique Rose, this is a stunning pink with a very subtle champagne shimmer in it, a perfect pink combo. Then I just rub a little of the Collection Eye shadow pencil in shade Vanilla Sky in the inner corners of my eyes and sometimes in the water line to really open up my eyes. My eyes never seem to be complete without a liquid eye liner and my current favourite is the Eyeko skinny liquid eyeliner, it just goes on so smoothly and lasts all day and night with the perfect brush applicator to create a perfect straight line or a cheeky feline flick. Then no eye look is complete without a mascara! The one I have been loving and wearing everyday recently is the Maybelline - Colossal Volume, this is posted all over my blog. A drugstore mascara I will always continue to buy and never lets me down, if you want volume, curves and length this is the one for you. Then my favorite bit choosing a lipstick to set the whole look of, I have been switching between these two shades recently, Nars - Satin Lip Pencil in shade Lodhi this is a gorgeous coral shade with pink undertones, it makes my lips look ravishing and juicy without sounding weird aha its just stunning and I have also been loving Mac Satin Finish in Snob, a pinky purple toned lipstick just a bit darker than pastel but perfect for spring and would add colour and boldness to any outfit. 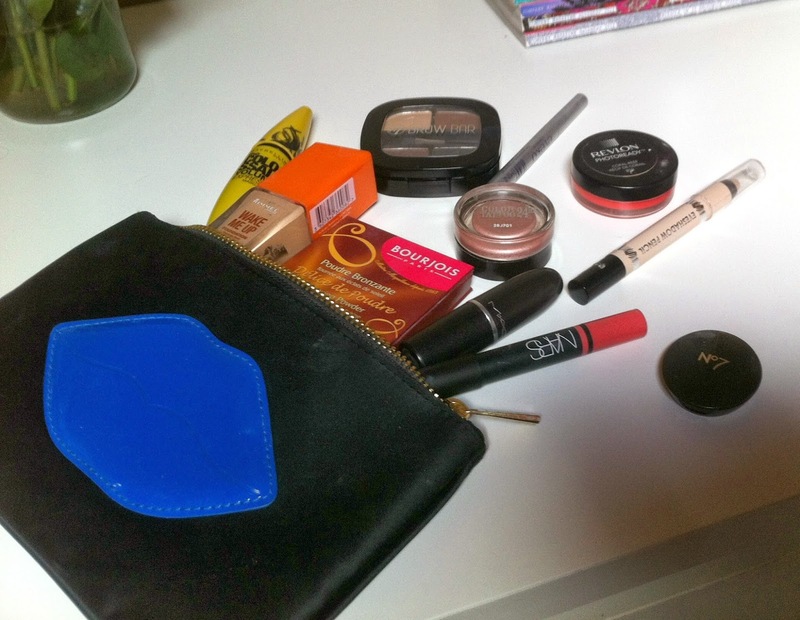 Also the make up bag I am currently using is the Nars one I got my Lip Pencil Coffret in featured here. 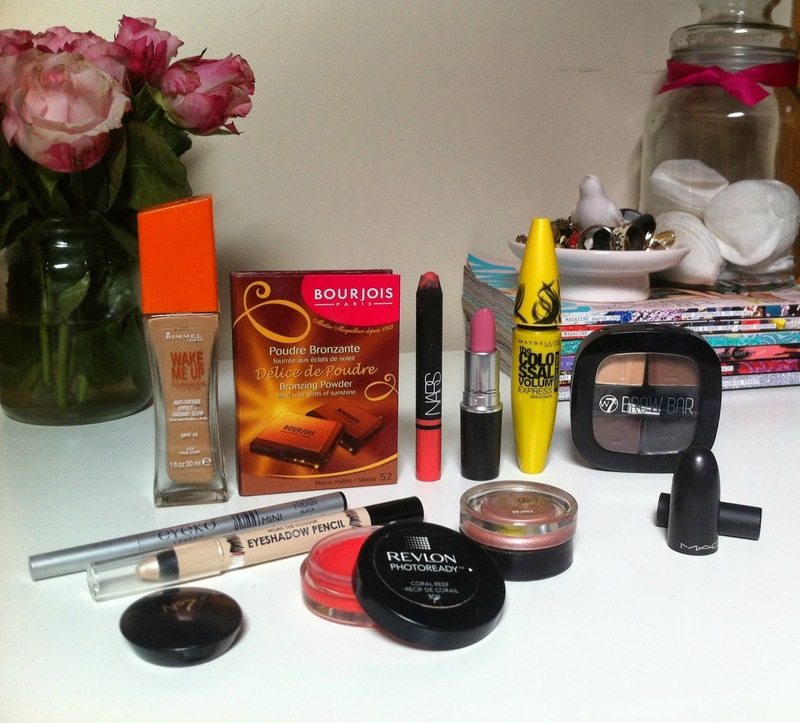 What's inside your spring make-up bag?